Ryan Roofing of Rochester is a leader in Metal and Steel Roofing, offering all roofing contractor services. We sell and install quality steel roofing systems, using a variety of of tested metal roofing products chosen because of their quality. For instance, ACM makes many different types of metal roofing panels, with different profiles for different roofs. Our Metal Roofing panels are perfect for residential and commercial properties, with vibrant colors and styles. But why choose a steel roof from Ryan Roofing? Our steel and metal roofs are a smart investment. Our 22 years in the roofing business means we get roofing, providing quality service, durability, and beautiful curb appeal. Let’s not forget the energy efficiency brought on by a metal roof, which could help pay for itself over time. Nobody in Rochester can provide you with as many steel roofing options as Ryan Roofing, so give us a call and schedule a roofing estimate with one of our steel roofing contractors. 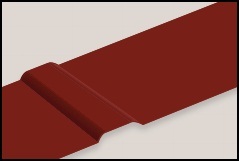 Below you’ll find brief descriptions of some of our steel roofing panels and products. We offer more options than most roofing contractors, so you don’t need to worry about not having every option at your disposal in one spot. Our Roofing Contractors can help answer questions you might have, give them a call at 507-281-6363. ACM’s Fast Panels feature exposed fastened panels in multiple profiles to meet most residential and commercial needs. Fast Panels are energy efficient, offering the capability to lower you cooling and heating costs. ACM’s Fast Panels come in two sizes, 5V Crimp (24″) and Perfect Rib (36″). 100% Recyclable and Enviromentally Safe! Longer life than traditional shingles. If your home’s roof deserves the added benifits of steel with the attractive design choices of your homes different eaves and peaks, look no further than ACM’s Kenloc metal roofing. Featuring a concealed fastening system, Kenloc Metal roofing is ideal for a variety of applications, roof types, and enviroments. Like all ACM metal roofing systems, Kenloc is great for energy efficiency and durable. The ACM Mechloc Metal Roofing option is perfect for home or business applications that require a flat pan standing seam panel with multiple rib heights. The smooth Mechloc panel has a decent radius. Like all ACM metal roofing systems, Mechloc is great for energy efficiency and will last for years to come. The ACM Stayloc Metal Roofing system is perfect for homes that need a roof designed around thermal movement. ACM designed Stayloc Steel Roofing with water drainage in mind, so roofs that need extra care in water flow do well with Stayloc metal roofing. Like all ACM metal roofs energy efficiency is enhanced thanks to it’s cooling colors which can help lower your utility costs. Note, Our Steel and Metal Roofing Services are described in the first paragraph above, after that our Steel and Metal Roofing Products are described. If you’re looking for a Steel or Metal Roofing Contractors please keep us in mind, with over 22-years in business, we’ve roofed hundreds of homes and businesses in the Rochester/Southern Minnesota area. Maybe that’s why we have the highest online reviews and an A+ BBB rating. 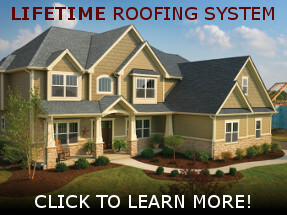 Call to schedule your free in-home roofing estimate, 507-281-6363. Or request a free Estimate using our online form.